Three of the four series leads have genre roots. Alex O’Loughlin was the lead, Mick St. John, in Moonlight. He’s also appeared in the sci-fi horror flick Man-Thing. Daniel Dae Kim, most recently from Lost, was also in NightMan, The Pretender, Brave New World, Fantasy Island, Crusade, Star Trek: Voyager, Charmed, Angel, Hulk, Star Trek: Enterprise, Spider-Man 2, The Cave, Avatar: The Last Airbender and The Andromeda Strain (2008). Grace Park played Boomer in the reboot of Battlestar Galactica, as well as roles in The Immortal, The Outer Limits, Dark Angel, Stargate SG-1, Jake 2.0, Andromeda and Stephen King’s Dead Zone. The executive producers are no strangers to science fiction, either. 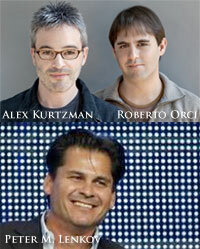 Alex Kurtzman has been involved with Hercules: The Legendary Journeys, Jack of All Trades, the Island, The Legend of Zorro, Transformers, Star Trek, Transformers: Revenge of the Fallen, Fringe and a few forthcoming genre projects including Cowboys & Aliens and a sequel to 2009’s Star Trek. Peter M. Lenkov has been involved in Demolition Man, Universal Soldier III: Unfinished Business, Ghost Stories, Universal Soldier II: Brothers in Arms, The Crow: Stairway to Heaven, Dr. Jekyll and Mr. Hyde, Level 9 and Ballistic: Ecks vs. Sever. Roberto Orci has been involved with Xena: Warrior Princess, Hercules: The Legendary Journeys, Jack of All Trades, The Island, The Legend of Zorro, Transformers, Star Trek, Transformers: Revenge of the Fallen, Fringe and a few forthcoming genre projects including Cowboys & Aliens and a sequel to 2009’s Star Trek. The pilot had James Marsters (Spike from Buffy the Vampire Slayer and Angel), although you didn’t really get to see his face much. And Kevin Sorbo just showed up in an episode last week. Add that to the fact that Hawaii has been the location of several genre shows and flicks and it just gets eerie. Genre Movies shot in Hawaii: Godzilla (1998), Jurassic Park, Jurassic Park II, King Kong (1976), The Lost World: Jurassic Park, Outbreak, Raiders of the Lost Ark, Pirates of the Caribbean: At World’s End, Supergator, Indiana Jones and The Kingdom of the Crystal Skull, The Shaggy Dog, The Hulk, The Time Machine (2001), Dragonfly, Planet of the Apes (2001), Waterworld, and more. 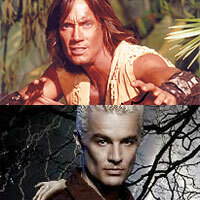 Genre TV Shows shot in Hawaii: Fantasy Island, Lost and episodes of I Dream of Jeannie and Knight Rider.